I am enjoying this small series I am doing of my memories of the Sonoran Desert. I especially like the jewel like tones in this one. I have found that by tearing up small pieces of rice paper and pasting them on the panel first, I get a lovely, absorbent texture to paint on. I am keeping this post short today. I have a lot going on. They just get better and better...love this series of work you're producing!!! These are quite inspirational, Roberta. Happy week to you! Gorgeous earth tones. Love the composition. Oops, sorry, I wound up sending you a message by mistake. The comments didn't work for me so I mistakenly clicked on the contact form. this is beautiful. How wonderful, I was hoping your recent visit would be a source of inspiration. I am completely inartistic but the desert always makes me wish I wasn't. So many subject matters everywhere you look. 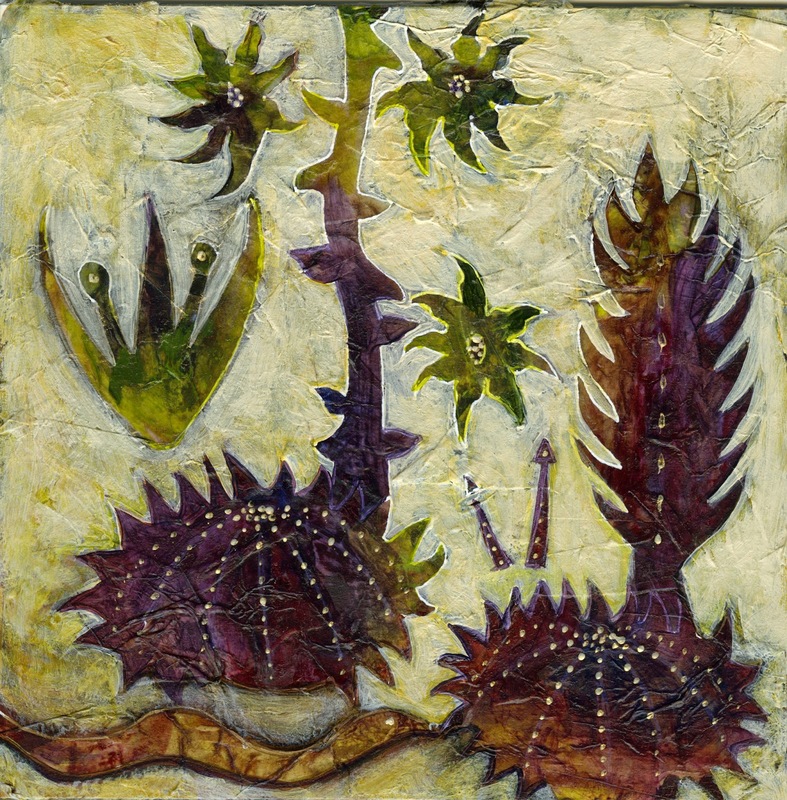 I think these plant form paintings are wonderful !! !